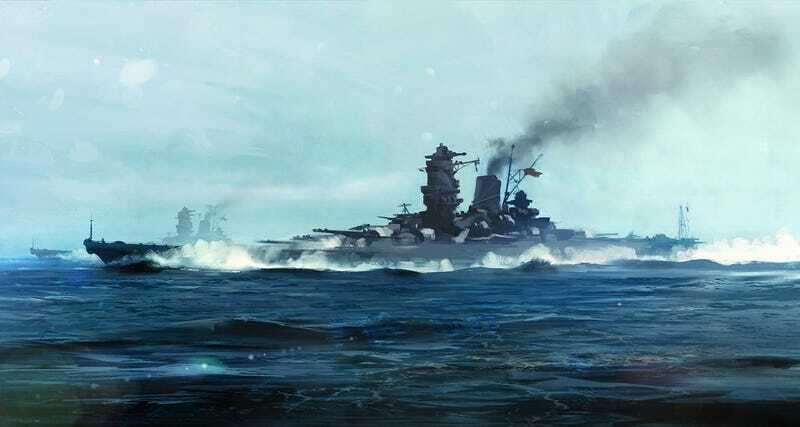 I don't know what it is about battleship paintings, but I love 'em. They make me think of sitting under one in a wood-panelled room, in front of a fireplace, sipping on expensive booze and puffing on a big ol' pipe. These images are by Dmitry Vishnevsky, a freelance artist who works in the video game business. You can see more of his stuff on his personal site and ArtStation page.